The final step in becoming a Jedi Knight is building your own light saber. Your time has come. Create and customize over a thousand combinations. It is your destiny to feel the Force. You will forever be an honorable, brave, and trustworthy guardian of peace and justice throughout the galaxy. 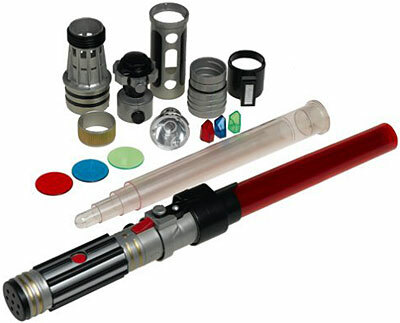 Build your own lightsaber today. Assemble the parts in different ways to create many styles. Design a customized look of your own. Easy to assemble and reconfigure to Jedi or Sith style.